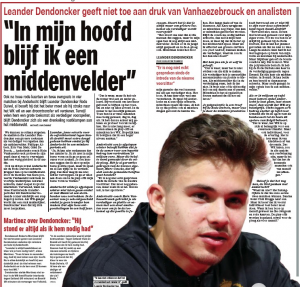 Leander Dendoncker to West Ham was a real January soap opera which ended with the player remaining at Anderlecht with the assurance he can leave in the summer. 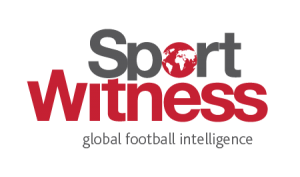 The midfielder, who has been playing in central defence for chunks of the season, has since been the subject of much criticism in the Belgian media. His form dropped and it claimed it was because of the failed West Ham transfer, and if he didn’t get his act together then he’d struggle to find someone willing to pay €15m. 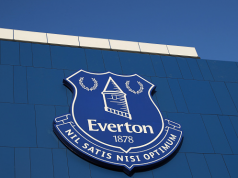 It was all way over the top, and Dendoncker has been called up by Roberto Martinez to the current Belgium squad, which suggests he’s doing something right. Het Nieuwsblad carry a big interview with the player in their Wednesday edition and asked him how important the World Cup could be to a potential €15m summer transfer. The youngster still isn’t scared of talking about a transfer, despite all the negative words written about him, and a summer move looks very likely. Judging by the January window, West Ham will be right at the front of the queue.